How to log in to the app and reset your password. 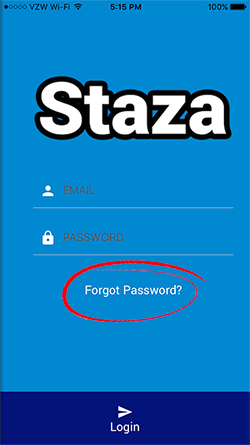 After opening the app on your phone, enter your email and password to log in to the app. Forgotten your password? Click the "Forgot Password" button to have a password reset email sent to you.